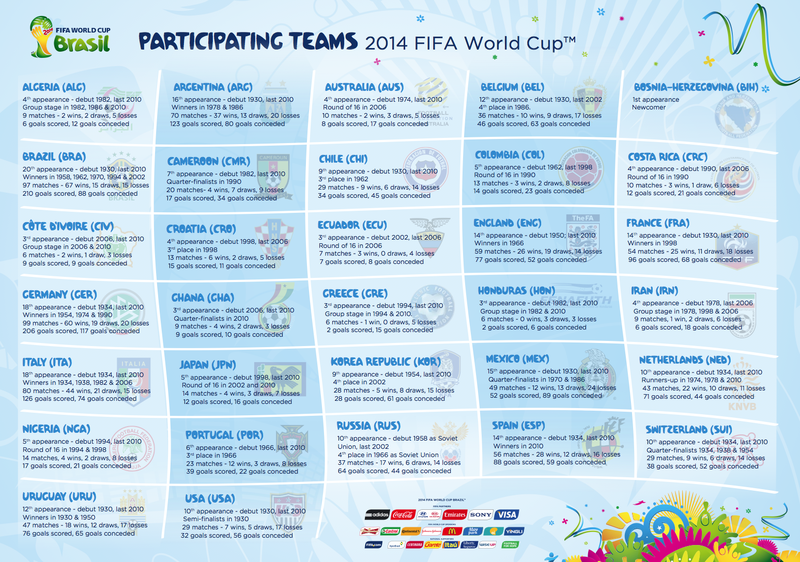 209 countries entered for the 2014 World Cup, but there was only space for just 32 teams in Brazil. In the 19 previous World Cup Finals there had been only eight champions and they are: Brazil (1958, 1962, 1970, 1994, 2002); Italy (1934, 1938, 1982, 2006); Germany (1954, 1974,1990); Argentina (1978, 1986); Uruguay (1930, 1950); England (1966); France (1998) and Spain (2010). All eight champions played in Brazil in 2014 and with Germany winning the cup, there are still only 8 champions after the 20th tournament. 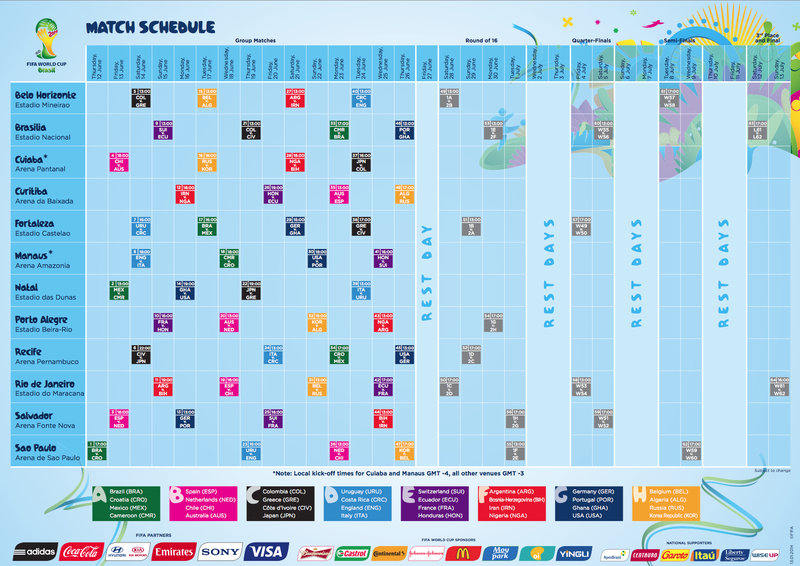 Of the 32 teams that played in Brazil, 24 of them were returning after the previous tournament in South Africa in 2010, which means eight teams in South Africa weren’t in Brazil, but eight teams new teams were in Brazil. New since South Africa were Belgium, Bosnia-Herzegovina (making its first World Cup finals appearance), Colombia, Costa Rica, Croatia, Ecuador, Iran and Russia. Those to miss the boat from South Africa included South Africa itself as well as Denmark, New Zealand, North Korea, Paraguay, Serbia, Slovakia and Slovenia. 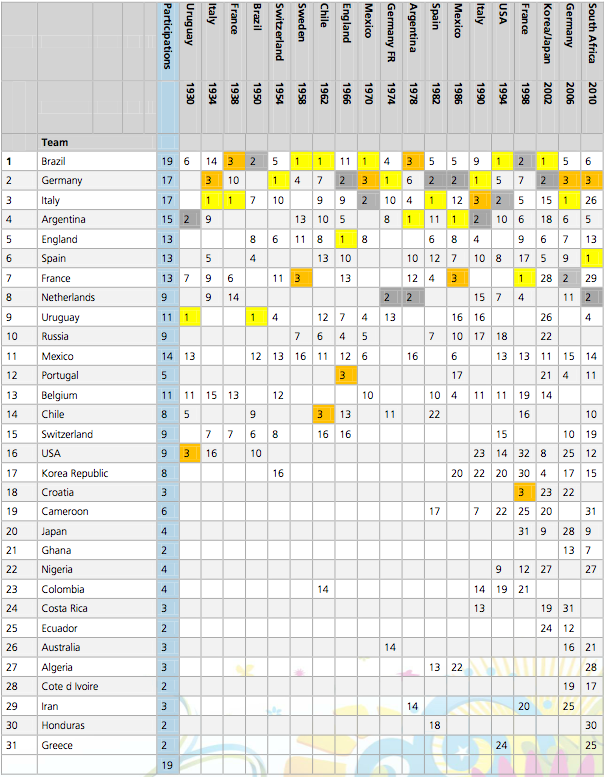 How the 32 teams have done over all the previous World Cups. Bosnia is playing in its first cup.